Do you feel it is difficult to measure up to the expectations of kids? Try personalized rulers and stencils! This selection of rulers and stencils are perfect for kids of all ages and they will make elders take note of your brand. It is seen that most people keep purposeful promotional gifts for a lifetime. This is a solid reason to select promotional rulers and stencils for your next trade show or school event. Most kids will carry them to school along with their stationery set. 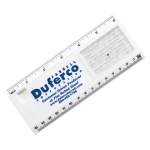 Browse through this selection of best seller logo rulers today! 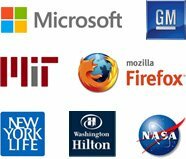 We offer guaranteed low prices and 100% customer satisfaction guarantee on all orders. Fast shipping, free e-design proof, free artwork assistance and fast production times make us an industry leader! There are so many promotional giveaways for kids at Promo4kids.com but why are custom printed rulers so popular? Promotional rulers are versatile, purposeful, affordable and perfect for all occasions. Our large selection will introduce you to various designs of the rulers in metal, plastic and wood. It doesn't matter whether you want to offer these rulers as a single gift or as a part of the stationery set, your recipients will love them. You can mail these rulers with direct mail advertisements, invoices or other mails, distribute to students on back to school day and gift them during trade shows or mass gatherings. These customizable rulers offer large imprint area for your brand logo and bring you a plethora of promotional opportunities, too. 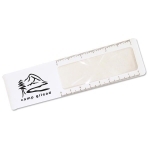 Magnifying Rulers - These will magnify your brand logo for everyone to see. Multifunction Rulers -These will measure your success above expectations! Any kid will love to have the multifunction ruler in the pencil box. 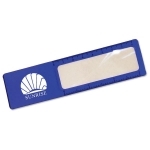 Plastic Rulers - Durable and sturdy, these will offer long-term visibility to your brand logo. Ruler Pens - Multipurpose sets with pens and rulers will be a great use for students in classrooms. 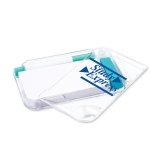 Translucent Rulers - Your brand logo is the first thing they will see when they take this ruler in their hands. Our knowledgeable marketing assistants will work with you to find the best possible promotional rulers and stencils for your campaign, appropriate imprint options and best price benefits that you can avail. Trust promo4kids.com to elevate your organization or cause to the measure where they receive only favorable responses from your potential customers. Call us at 855-454-3786 today. 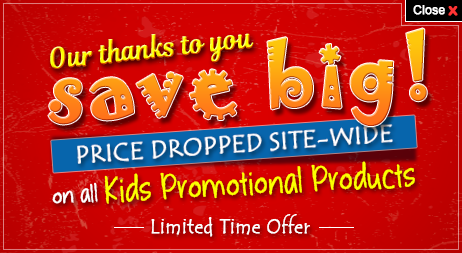 If time permits, write to us at info@promo4kids.com.